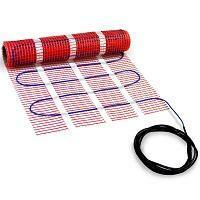 Electric floor heating is gaining popularity by the day due to numerous advantages it offers. With electric heated floors, there’s no need for low-efficiency, noisy and bulky equipment, no need for costly and often troublesome annual maintenance and no need for complex and expensive installation. HeatTech mats are quickly laid out according the design, covered with tile or other compatible flooring type, connected to the power source and are ready to use.